Pools are a great source of exercise and fun for any home, unless you have pests or kids who will end up making unsupervised visits to pools. Although having a pool at home adds to the entertainment and fun quotient of the entire family, pool side areas require regular monitoring to ensure that your kids are safe. This hassle of constantly supervising might refrain you from getting a pool for your home. However, having a child pool fence can help you overcome this pressure and encourage you to get a pool for your little ones at home. Apart from home, pools are also a part of several commercial spaces, such as day care centers, schools and nurseries. Having a child proof pool fence can relieve organizations from the pain of constantly supervising these little tricksters. With safe and durable child pool fence services offered by Kid Safe Pool Fencing, you can have uninterrupted poolside fun without worrying about your pets and kids. Child Safety and Protection – Our child proof pool fences keep your kids and pets completely protected, by successfully obstructing their entrance to the pool area. Convenience – Restless kids often become a bother and will hamper your daily routine. By having a pool, which has a robust protective boundary wall in the shape of pool fencing allows you to let your kids go outside, play and get a good exercise without having to constantly keep a check on them. 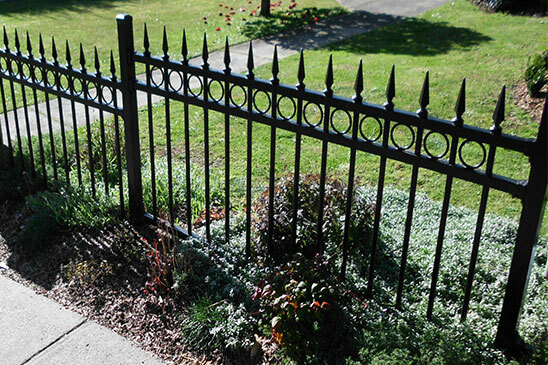 Enhanced Aesthetics – Often pool fencing can get dragged and it might just end up ruining your outdoor décor. We make crisp boundaries precisely around the pool with elegant fencing. This imparts your pool side with a clean and professional look. With a wide array of fencing options, we help you in achieving a classy contemporary look as well. Sustaining Your Values – If you own a commercial set-up, such as kids learning centre or day care, which has a pool, then having professionally installed pool fencing sends a message to your clients that you are a responsible businessperson who cares for the safety of their kids. This allows the parents to either send their kids to your set-up or visit your set-up with their kids frequently, as they would know that the pool in your facility is not accessible to unattended children. All that you have to do to get your free quote is to reach us on 03 9727 0691 or 0419 554 941. We offer swimming pool fencing at most affordable prices in Melbourne. You can also drop a mail to wb@kspf.com.au or post your queries online.